One of the coolest things about being a blogger and working in the equestrian media industry is getting to meet people and the products they create. On one of my latest excursions, I met the owner of ACE Equestrian, a small business based nearby in New England that I had seen circulating the area but had yet to get my hands on, and picked up one of their belts in charcoal with silver hardware. A month later, it is safe to say that I am in love. Upon first impression, I was surprised at how sturdy, yet stretchy, the belt was. Most elastic belts I encounter don’t have enough resistance to actually hold your pants up, but that isn’t the case with this one. The elastic band has a good amount of stretch that easily allows you to grab Chipotle after your ride and not get punished by a tight belt digging into your stomach, while still having enough hold to keep your pants in place. 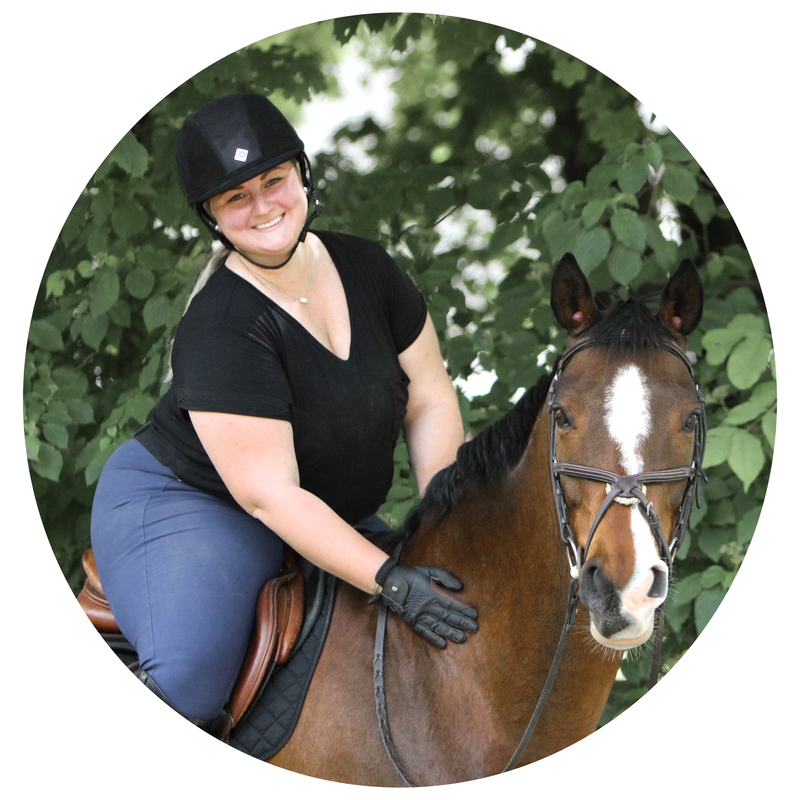 I tested this out with my favorite breeches that I constantly have to tug and adjust, and the ACE Equestrian belt kept them secure for a long day at the barn. Plus, it features a slider on the side that makes it easy to tighten if needed. Staying on trend with current styles, the belt is 2″ wide, making it perfect for my Trophy Hunters. It took a bit of work to wiggle through all the loops on my Hadleys and a few pairs of my jeans, but I got the hang of it and the belt laid flat once in. Because I wear my breeches and jeans multiple times before washing (sadly, the laundromat is far away from my apartment), this really wasn’t an issue since I could just leave the belt in the loops for the next wear. One of my favorite features of this belt is how flat the buckle lays. I often have to tuck the front of my shirts in because belts on my non-low rise jeans have bulky, lumpy buckles that show through the shirt, but the surcingle-type closure on this belt lays almost perfectly flat. To really put the ACE Equestrian belt to the test, I brought it along with me for the Land Rover Kentucky Three-Day Event. After a long day of moving around to take photos, sitting, standing, walking more than I could imagine, and eating horse show food, I was so thankful for a stretchy, comfortable belt instead of a restricting leather one—I even wore it for my late night plane ride back to Massachusetts! This belt is my new favorite and my go-to if I need my pants or breeches to stay up but still be comfortable. At only $40, I will definitely be picking up another one of these and am currently eyeballing the copper collection.